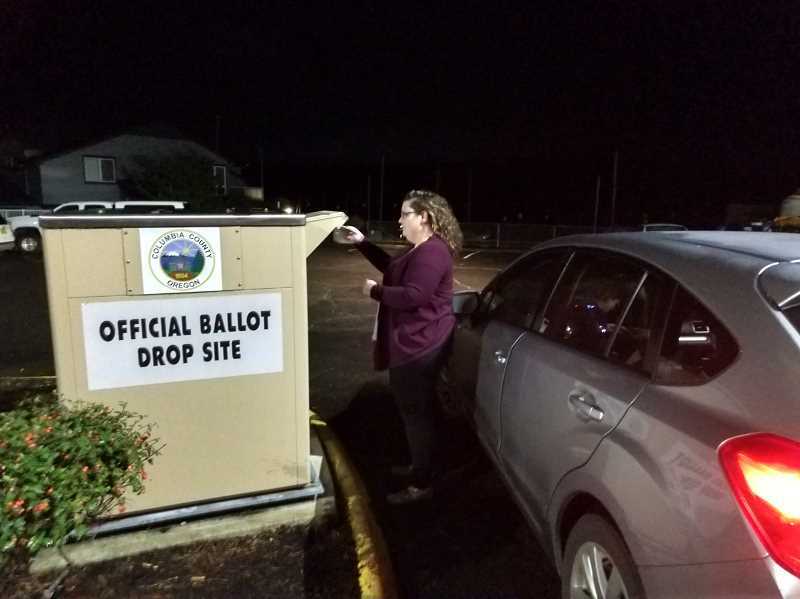 Polls across Oregon and Columbia County closed at 8 p.m. Tuesday, Nov. 6 for the 2018 General Election. A third round of results posted early Wednesday morning showed tight races for city council in St. Helens and Columbia City, where results remained too close to call as of 2 a.m. This year, voters considered everything from a governor's race that yielded unprecedented campaign spending, to local city council races to statewide measures affecting abortion access, immigration policing, and taxes. Columbia County voters also selected a new sheriff- Brian Pixley, and weighed in on a regional 2nd Amendment ordinance. In Columbia County, the race for sheriff was one of the most closely watched and by 2 a.m. Wednesday, Brian Pixley won by more than 1,000 votes. The sheriff's race drew public scrutiny over campaign spending on behalf of Pixley and Brown. Pixley drew support from current Columbia County Sheriff's Office employees, and a nod from former sheriff Jeff Dickerson. Brown received heavy financial backing from Tyler Miller, a former Sheriff's Office reserve deputy. Incumbent Henry Heimuller ended up running unopposed for Position 2 on the board of commissioners after his opponent dropped out of the race earlier this year. In the race for St. Helens mayor, incumbent Rick Scholl is running against St. Helens business owner Al Petersen. Scholl showed an early lead Tuesday over Petersen at the first count. Scholl, who runs his own yard maintenance company has served one term as mayor after being elected in 2016. Petersen runs AKAAN Architecture + Design in St. Helens, and this election marks his first bid for mayor. Mayoral seats are reelected every two years in St. Helens. Two positions were up for re-election on the St. Helens City Council — Pos. 1, currently held by Doug Morten, and Pos. 3, held by Susan Conn. Conn lost her bid for re-election to challenger Steve Topaz, who garnered just 42 more votes by Wednesday morning. City council members are elected to serve four year terms. Morten, who has served on the council since 2007, ran against two political newcomers — Maggie Clayton, owner of Running Dogs Brewery, and Mark Griffith. Conn, who has served on the council since 2012 by appointment and was re-elected in 2015, was challenged for her seat by Topaz, a St. Helens resident who is known for his regular attendance at council meetings and vocal opinions about local politics. Topaz also previously ran for city council in 2016. By the third round of vote totals, Morten held the lead in his run, while Topaz held a tight lead over Conn that was just enough to win the seat. Incumbent Scott Burge ran unopposed for the mayor's seat, and will embark on his next term as Scappoose mayor. Three other council seats were up for grabs. Incumbent Mark Reed lost his seat to political newcomer Brandon Lesowske, while incumbents Joel Haugen and Josh Poling, both appointed to their positions prior to the election, will retain their council seats. The city of Columbia City was bound to get a new mayor this election cycle as longtime Mayor Cheryl Young announced earlier this year she would not file to run again, citing health concerns. The only person to file for the position was Casey Wheeler, the current executive director of the Columbia Pacific Food Bank. As of 2 a.m. Wednesday, Wheeler had received 706 votes. This story previously contained an error in reporting the results for Columbia City City Council. The story has been updated to reflect correct information.